Ararat is a former gold-mining town, situated within a rich pastoral, wine and fruit growing district between Stawell and Beaufort. A number of elaborate and historical buildings grace the streets of the town, including the Town Hall and Shire Hall in Barkly Street, both built in the late 1800s. Other places of historical interest include the Gum San Chinese Heritage Centre, the Langi Morgala Museum located in the former wool store, and J Ward, which originally served as the Ararat County Gaol until 1887 when it was then turned into an institution for the criminally insane. A number of attractive parks and gardens are located in Ararat, including the not to be missed Alexandra Botanical Gardens which feature a large lake, colourful garden beds and a conservatory. Just a few kilometres north-west of the town is the One Tree Hill Lookout, which provides panoramic views over Ararat and the surrounding ranges. 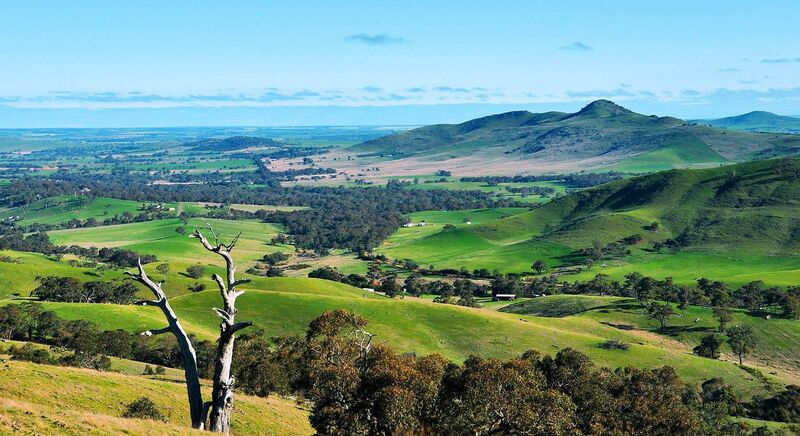 West of Ararat, on the road west to Moyston, are several wineries and a number of scenic spots providing good views of the Grampians. Continuing further along this road leads to the Grampians National Park and the park’s town centre of Halls Gap, making Ararat a convenient base for exploring the natural beauty of this acclaimed natural attraction. Other natural attractions in the area include the Mount Buangor State Park to the east which features eucalypt forests and a waterfall dominated by Mount Buangor which is the area’s highest peak. Further east is the Langi Ghiran State Park with its rugged granite formations. Stop to smell the wildflowers at Pomonal, a village on the eastern slopes of the Mount William Range. Famous for its native flowers and orchids, the area’s rolling green hills make a gorgeous backdrop to nature walks, vineyards visits and farm gate expeditions. Got a green thumb? Explore the dazzling wildflower gardens and nurseries on Wildflower Drive. Come in spring when the wildflowers are in bloom and check the date to make sure you’re there for the Pomonal Native Flower Show. Explore the Pomonal Tunnel Walking Track, climbing to the top of the Mt William Range, where you will be rewarded with views of the Serra Range. On the descent, stop by the historic water tunnel that goes through the Mt William Range to supply water from Fyans Creek to Pomonal and Stawell. Take the short drive out of Pomonal to get to Halls Gap Zoo. Pack a picnic for lunch and see native wildlife including wombats, emus, dingoes and possums in a native bushland setting. Warracknabeal’s commercial centre can be found along the northern end of Scott Street. It features a number of historic buildings including the Tudor-style post office (built in 1907) and the old State Savings Bank building (1909) which now houses the Warracknabeal Historical Centre which has displays open to the public. The junction of Scott Street and Woolcock Street is known as Federation Place and full-size sculptures of sheep and a kelpie dog are located within the roundabout as a tribute to the town’s early settlement days. Another historic tribute can be found within the roundabout at the junction of Phillips Street where a sculpture of a dog sits atop bags of wool. Other historic buildings within Warracknabeal include the court house in Woolcock Street which was built in 1891 and is now used by the Warracknabeal Historical Society. A log lock-up, which was built in 1872 and used by the police, can be found in Devereux Street. The Anglican Church on the corner of Lyle Street and Anderson Street dates back to 1887, and an old brick water tower, which was used to service stream trains and later for the town’s drinking water, was built in 1886 and can be found at the northern end of Tarrant Street. Anzac Park is the recreational centre of Warracknabeal. Located at the junction of Scott Street and Arnold Street, there’s a memorial grandstand, a sports oval, tennis courts and pool. The attractive Yarriambiack Creek flows through Warracknabeal, lined with river gums and populated with water birds. It swells in width north of Lyle Street where a number of parks and gardens can be found on both sides of the waterway. There are several footbridges across the creek and a boat ramp off Craig Avenue. A flora and fauna park is located on a sweeping bend of the creek at the northern end of Scott Street and it includes BBQ and picnic areas, a playground and native animals housed in large enclosures. The Yarriambiack Creek Walk consists of tracks along both sides of the river which take in some interesting sights along the way. The prosperity that Warracknabeal is now enjoying is the result of its diverse agricultural industries which include fat lambs, wool, wheat, barley, lupins and canola. Beulah is a town in the southern Mallee region of Victoria, Australia. The town is in the Shire of Yarriambiack local government area, 395 kilometres north-west of the state capital, Melbourne. With a considerable population decline in the past decade, the main shopping area is considerably diminished from that of the late 20th Century. Shops and services still available in town include a Supermarket, Cafe, Medical Supplies Store, Pub (Victoria Hotel), Post Office, Business Centre, Hairdressers and Medical Clinic, along with various agriculture industry type businesses. The Beulah Primary School is located on the Henty Highway at the Southern end of town, with students continuing their Secondary School studies in nearby Warracknabeal, Hopetoun or Birchip. Beulah had a successful local football club from 1891 to 2014, before merging with bitter rivals Hopetoun. The Beulah-Hopetoun Football Netball Club, known as the Southern Mallee Giants, fielded football and netball sides in the now defunct Mallee Football League in 2015, before making the move to the Horsham District Football Netball League at the beginning of the 2016 season. The Senior Football side was undefeated for two seasons in the HDFNL, winning both the 2016 & 2017 Premierships. The Southern Mallee Giants left the HDFNL in the 2017-2018 Summer, and will now compete in the Wimmera Football & Netball Leagues in season 2018. Hopetoun is a town which serves as the major service centre for the Southern Mallee area of Victoria, Australia. Hopetoun is situated 400 kilometres north-west of Melbourne on the Henty Highway in the Shire of Yarriambiack. The town has one hotel, a newsagent, post office, chemist/pharmacist, hairdressers, service station, one Catholic primary school and a combined primary and secondary school, Hopetoun P-12 College, which caters for surrounding townships. It also has a fast food cafe and an op shop. Hopetoun Airport serves the town. It has a hospital with urgent care, an Acute ward and a residential aged care facility. 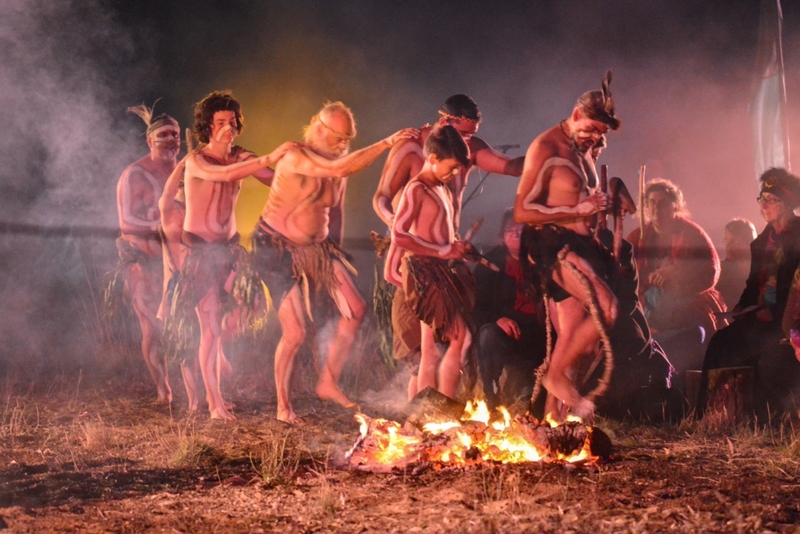 Local attractions include Wyperfeld National Park, Yarriambiack Creek and Lake Coorong. Hopetoun-Beulah has football and netball teams competing in the Mallee Football League, a golf course, lawn bowls, cricket and tennis competitions, basketball and many other sporting and recreational activities for all ages. The town of Nhill is located between the smaller centres of Dimboola and Kaniva in the west of the state. It is approximately at the half-way point between Melbourne and Adelaide on the Western Highway.Nhill is situated within a rich wheat growing and sheep grazing district, as well as being surrounded by a number of state and national parks. The Little Desert National is just a short drive south of town while the vast waters of Lake Hindmarsh are around 40 kilometres north-east of Nhill near the town of Jeparit. The commercial centre of Nhill extends along Nelson Street and around the corner into Victoria Street, both of which are wide boulevards with gardens located within their median strip. Goldsworthy Park has particularly attractive gardens and occupies the central strip along the northern end of Victoria Street. It features a large war memorial, a bronze draught horse monument to signify the important role the breed had in working the wheat fields, a band rotunda, visitor information centre, playground, shelters and lawns. A number of historic buildings line both Nelson and Victoria Streets including the post office (built in 1888) and several large hotels. A large grain silo, which is apparently Australia’s largest single-bin silo, can be found at along Davis Avenue near the railway line. It is part of the historic Noske Flour Mills. At the southern end of town is Lake Nhill and adjoining swamplands, although they can dry out in periods of drought. When there’s water about, the lake is ideal for boating with a boat ramp located within the picnic grounds at the southern end of Campbell Street. The Nhill Swamp Boardwalk is an extensive elevated walkway which winds its way through the swampland on the western side of the lake. A branch of the walkway extends out to a bird hide from which birds and other animals can be observed. Jaypex Park is situated along the eastern side of Victoria Street and also provides access to Lake Nhill via the Nhill Swamp Boardwalk. Within the park there’s an extensive playground, picnic shelters, BBQ facilities and an information shelter containing a preserved sample of an Aboriginal scar tree. Also found in the park is the John Shaw Neilson Memorial Cottage, which was transported to its present site from Penola in South Australia where the lyric poet was born in 1872. It contains documents and relics related to the poet’s life. Rainbow is a town in north west Victoria, Australia, 400 kilometres (249 mi) from Melbourne. The town is in the Shire of Hindmarsh and the nearest large towns are Warracknabeal, Dimboola and Nhill, all to the south. Rainbow is a small commercial centre for the surrounding agricultural area. To its south lies Victoria’s largest freshwater lake, Lake Hindmarsh, while to the north are Lake Albacutya, which is usually dry but is a Ramsar-listed bird habitat, and Wyperfeld National Park. For tourists, especially birdwatchers, Rainbow makes a useful base from which to explore the surrounding region. The town is notable for its unique main street, which incorporates a central strip of parkland. Despite its remoteness, Rainbow prides itself on community involvement. There are football, netball, cricket, golf, bowls and volleyball clubs, arts groups, a community learning group, service clubs and a proactive town committee. Local businesses include a baker, butcher, chemist, modern supermarket, stock and station agents, a weekly newspaper (the Rainbow-Jeparit Argus) and a service station. Also has a police station. With its neighbouring township Jeparit, Rainbow has a football team, Jeparit-Rainbow, competing in the Horsham District Football League. Rainbow has a single school, Rainbow P-12 College established in January 2015 from the former primary and secondary schools. The college caters for students from farms and towns nearby. Rainbow P-12 College, located at 17 Albert Street caters for students through Years foundation (prep) to 12 (VCE). The former Rainbow Primary School catering for younger students was co-located to the site of the secondary college in 2011 in a new $3.5 million building. Following a community consultative process the P-12 college was established. Golfers play at the course of the Rainbow Golf Club on Nhill Road. Hamilton is a major centre located in the south-west of Victoria, south of Horsham and north of the coastal towns of Portland and Port Fairy. Hamilton features attractive tree-lined streets and a commercial centre which is mainly confined to the areas around Thompson Street, Gray Street and Brown Street. Hamilton boasts a couple of impressive churches which can be found at “Church Hill” which is at the western end of Gray Street. Hamilton offers a number of attractive parks, gardens and recreation areas. The 4 hectare Botanical Gardens were established in 1870 and feature a significant collection of pine and oak trees. There is also a rotunda, fountain, caretaker’s cottage and an animal enclosure. Apex Park, on the corner of the Glenelg Highway and Apex Drive, is a linear stretch of parkland along Grange Burn and has BBQ and picnic facilities as well as a preserved steam locomotive. The 221 hectare Community Parklands, located at the northern end of town, are an important recreation and conservation asset and include a sporting complex, lakes, and fields of native wildflowers. Lake Hamilton is located at the eastern end of town and is surrounded by 25 hectares of parkland. The lake’s main sandy beach is located at the end of Rippon Road, adjacent to BBQ and picnic facilities. A smaller beach is also located near the boat ramp off Mill Road. A walking and cycling track circles the entire lake. Other attractions in Hamilton include the Sir Reginald Ansett Transport Museum, located within one of the airline’s original hangars on the shores of Lake Hamilton. The Hamilton Pastoral Museum, accessed via Hiller Lane, displays historic farm machinery, horse drawn vehicles and other relics depicting early rural life in the area. The Big Wool Bales, on Coleraine Road, are a tribute to the local wool industry which regards Hamilton as the wool capital of the world. The Hamilton Art Gallery, in Brown Street, includes collections of paintings by Australian artists as well as ceramics, tapestries and relics from India, China and Japan. A short drive west of Hamilton on the Glenelg Highway are the Nigretta Falls and the spectacular Wannon Falls, both of which lie on the Wannon River. South of Hamilton, on the road to Port Fairy, is the Mt. Napier State Park which features the volcanic cone of Mt. Napier – the most recently active volcano in Victoria. Hamilton is a good base for exploring the Grampians National Park, with the southern end of the park around a 20 minute drive north-east via Dunkeld. Just west of Dunkeld is a lookout allowing visitors to view the park’s southern peaks of Mt Sturgeon and Mt Abrupt. Lake Bolac is a small town located between Dunkeld and Ballarat within a rich wheat growing and cattle area in the west of the state. The Lake Bolac town centre features a collection of shops and a few historical buildings centred around the junction of the Glenelg Highway and Montgomery Street. There is the Lake Bolac Hotel, which was built out of bluestone in 1862, and the town’s memorial hall which dates back to 1922. At the north-eastern corner of the Glenelg Highway and Montgomery Street is the Lake Bolac Information & Business Centre. It is located within an attractive park setting which features picnic areas, shelters, BBQs, a playground and a 120 metre heritage walk. The primary attraction in Lake Bolac, known locally as the “home of aquatic sports”, is the 1460 hectare freshwater lake which shares its name with the town. Historically noted for its abundance of eels during the autumn rains, the lake is ideal for boating, while fishing and camping are popular along its 20 kilometre shoreline. There are picnic areas, BBQs, shelters and designated swimming beaches. Discover the immense sights and inspiring flavours of picturesque Dunkeld, gateway to the southern Grampians. Enjoy striking views of Mount Sturgeon and Mount Abrupt whichever way turn, explore the popular Arboretum and cap things off with an impeccable meal at the Royal Mail Hotel. Walk down Dunkeld’s main street and visit local shops and cafes before tucking into a decadent meal at the acclaimed Royal Mail Hotel. A destination in itself, the restaurant sources fresh produce locally and from its expansive organic kitchen garden. The onsite accommodation comes with sweeping views of the Southern Grampians. Hike up Mount Sturgeon, Mount Abrupt or the Piccaninny and be rewarded with stunning panoramic views of the Southern Grampians range. Opt for a self-guided tour or join Grampians Eco Tours for a half or full-day jaunt. Wander through the Arboretum’s walking track and be inspired by native flora and serene billabongs shaded by river red gum and stringy back forests. Complete your journey with a quiet moment taking in the view of Mount Abrupt at sunset. Play a round on the greens at the Grampians Golf Course or visit in time for the 3 Peaks Festival in October – a celebration of the town’s history, culture, food and wine. The Dunkeld Cup in November is another great chance to see the town come together against the magnificent backdrop of Mount Abrupt. Need a time out? Rest easy with a few days at the Griffins Hill Retreat, a sanctuary of yoga, mediation and healthy food to feed your body, mind and soul.